More than 150 people have been killed after two days of fighting in the Aleppo countryside, according to the Syrian Observatory for Human Rights (SOHR). 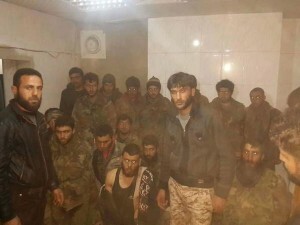 SOHR says that “70 members of the regime forces, NDF and the Shiite fighters from Iran and Afghanistan” were killed, along with “66 Syrian fighters from rebel and Islamic battalions … during clashes after the attack including 46 killed in the northern countryside and 20 killed on fronts in Aleppo city.” The “Islamic battalions” moniker refers to fighters from the Islamic Front, a powerful coalition of Islamist and jihadist groups that is allied to the Al Nusrah Front, al Qaeda’s official branch in Syria. The SOHR also said that 20 fighters from the Al Nusrah Front and the “al Muhajireen wal Ansar army” were killed. 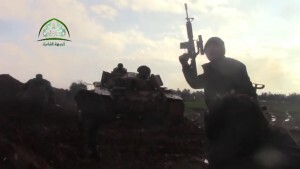 The latter group is Jaish al Muhajireen wal Ansar (JMA), which considers itself the Syrian branch of the al Qaeda-affiliated Islamic Caucasus Emirate. 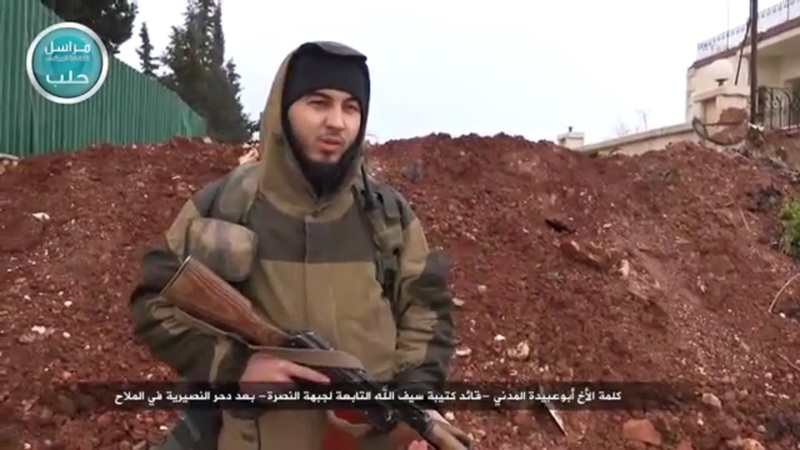 JMA, which is largely Chechen-led, is a staunch ally of the Al Nusrah Front. 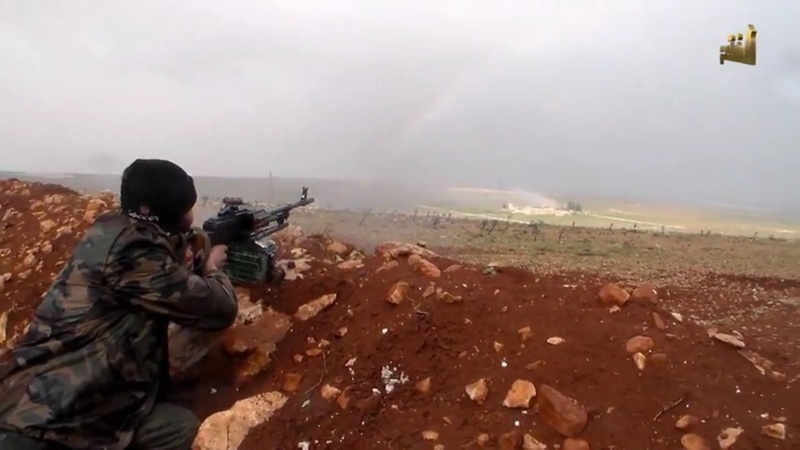 The current fighting started when regime forces launched an offensive in various parts of northern Aleppo. According to SOHR, the offensive was intended to cut off supply routes to the rebels, as well as end the siege of Zahra and Nubl, two Shiite towns north of Aleppo city. 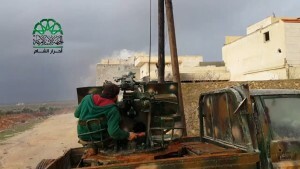 Regime forces were able to retake two nearby villages, but according to the Daily Star Lebanon, the rebels have since regained control of the areas. 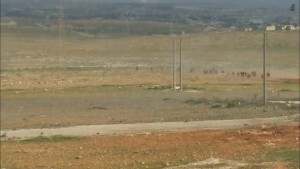 The SOHR is reporting that fighting is still going on in the Bashkwi village, with the Syrian Army being reinforced by “Non-Syrian fighters, NDF [National Defense Force] and Hezbollah” fighters. As combat is still raging in the area, the death toll is likely to rise. 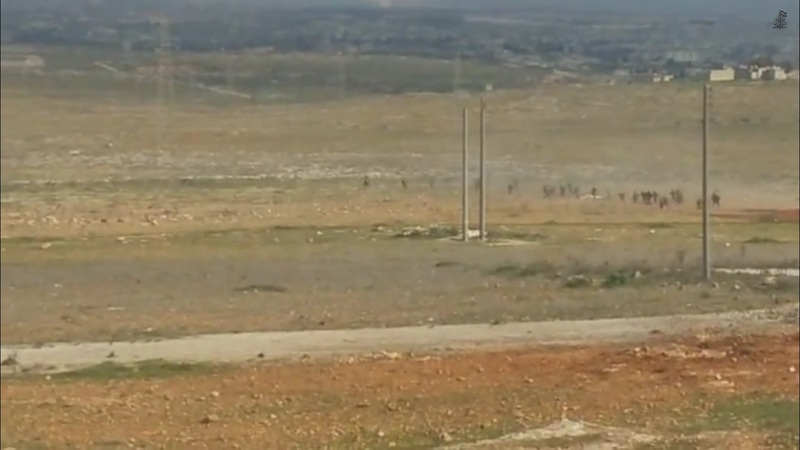 This offensive comes as regime forces, also backed by Hezbollah and non-Syrian fighters, launched another offensive in the southern Daraa province. While their veracity has not not been confirmed, several photos have emerged claiming to show Qassem Soleimani, the head of the Iranian Quds Force, with regime soldiers in Daraa. The Quds Force is the unit of the Iranian Revolutionary Guard Corps tasked with external operations. Soleimani has been seen in various hot-spots in Iraq leading both Iraqi Security Forces personnel and Shia militias. Iran has deployed personnel to the fight in Syria, as well. 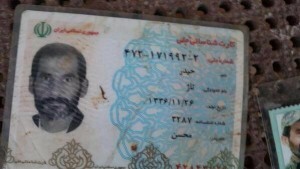 In October, a Basij general was killed near Aleppo. The Basij is the volunteer-based paramilitary force that is subordinate to the Revolutionary Guard Corps. Additionally, a Revolutionary Guard Corps member was killed in an Israeli airstrike in Quneitra last month. In both recent offensives by the Syrian Army, Afghan Hazaras have also been spotted fighting for the Assad regime. In May 2014, The Wall Street Journal reported that “Iran has been recruiting thousands of Afghan refugees to fight in Syria, offering $500 a month and Iranian residency to help the Assad regime beat back rebel forces,” citing Western and Afghan security officials. The report goes on to say that the Revolutionary Guard Corps actively recruits these refugees in Afghanistan and has command over them in Syria. Several jihadist groups have published videos showing their participation in the recent fighting in Aleppo. 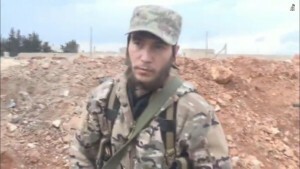 The Imam Bukhari Jamaat, an Uzbek group allied to Al Nusrah and loyal to Mullah Omar of the Taliban, released a video showing its fighters among several dead regime soldiers. 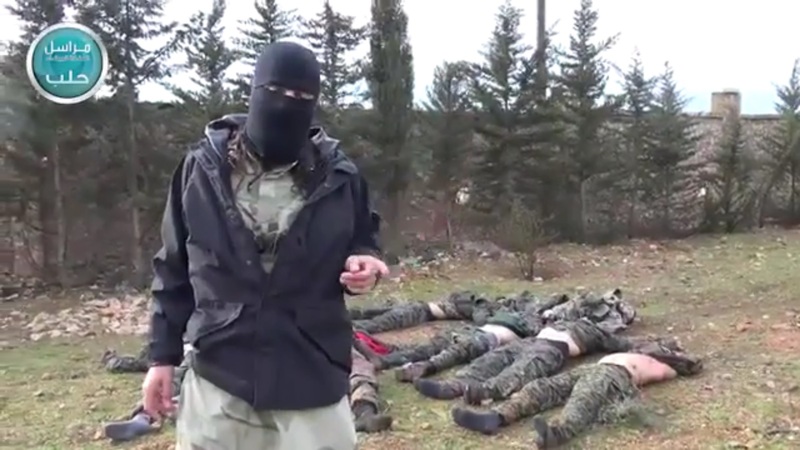 Another Uzbek group, Katibat al Tawhid wal Jihad, which is also allied to Al Nusrah, released a similar video. 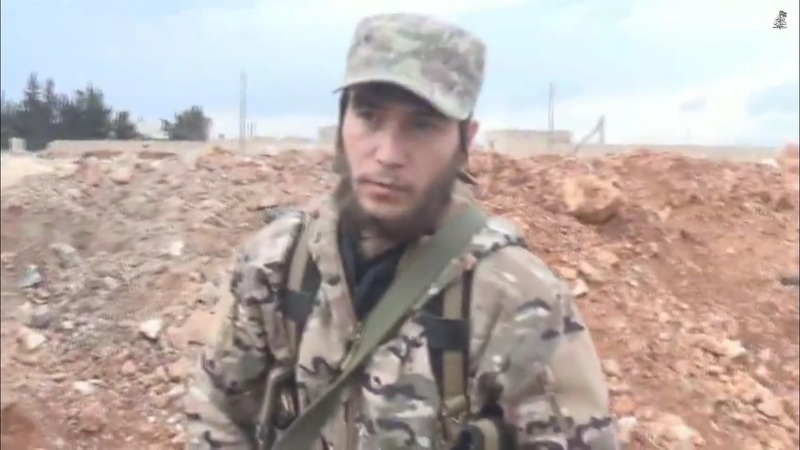 The Al Nusrah Front has also publicized its own footage, which includes appearances by Abu Ubaida al Madani, the emir of the Chechen unit within Nusrah. A Dutch fighter of Al Nusrah gives a speech in Arabic towards the end of the same video. Excellent info. Presence of Central Asian Uzbeks allied with Al Nusarah/AQ & Afghan Hazaras in the employ of Iranian Basij is a very interesting development. The aforementioned should make for some great additional drama in the AfPak Theater over the coming months & maybe even Central Asia itself & possibly Communist China. As this is just the Front End of a Battle that IMO won’t be a make or break contest for either side though the fact that a couple of ‘Wild Cards’ of consequence have surfaced & Aleppo is a Strategic locale will certainly add to the ‘colorfulness’ of the GWOT. With the number of factions participating and if Assad does indeed fall, just how quickly would each of these groups turn of the other? So all the previous bull reporting about Iran supporting the Taliban is just that. Peace with Iran would save huge amounts of treasure and good’ol American blood. Pray for freedom from the Saudi sunni darkness$$. Thanks for your good work. Iran’s recovering economy is allowing it to funnel more people into the meat-grinder, especially foreigners whose deaths won’t cause much domestic dissatisfaction. It’s motto remains “Death to the Great Satan” (which is, of course, us) and it’s affiliates are still run by Politburos. We should be under no illusions that Baathists, Mahdists, and Hizb’Allah are any friendlier to us than al Qaeda. Truman apocryphally said of the Nazi-Soviet war that we ought to aid whomever is losing to draw it out, but as with the Spanish Civil War or Chinese Civil War, such strategies tend to end badly not just for those actually fighting, but for the surrounding neighborhood writ large. That whole morality thing is surprisingly practical, after all. It is amazing to me that this conflict has made al Qaeda seem relatively moderate, as ever4yone copies Tito, Mao and Trotsky in engaging in “people’s war” tactics – deliberately brutalizing and radicalizing the population. Excellent article that accurately gives an idea of the situation on both sides. Foreigners are fighting for both sides. 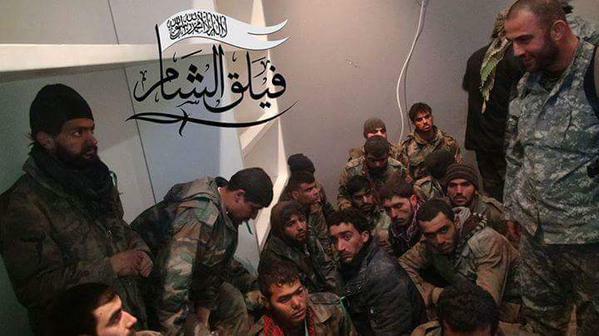 Pro-regime sources are claiming that only “brave SAA” forces are fighting in north Aleppo and that they only lost a few people, but that is just propagandic hogwash which is entirely for the consumption of the pro-regime bloc. The regime wanted to close the siege ring of Aleppo to trap the ‘rebels’ and even the Kurdish forces before any possible negotiations for a ceasefire, yet it seems like they can’t militarily achieve that. By the way, the site update is looking great so far, and I can’t see any problems with it at this point. 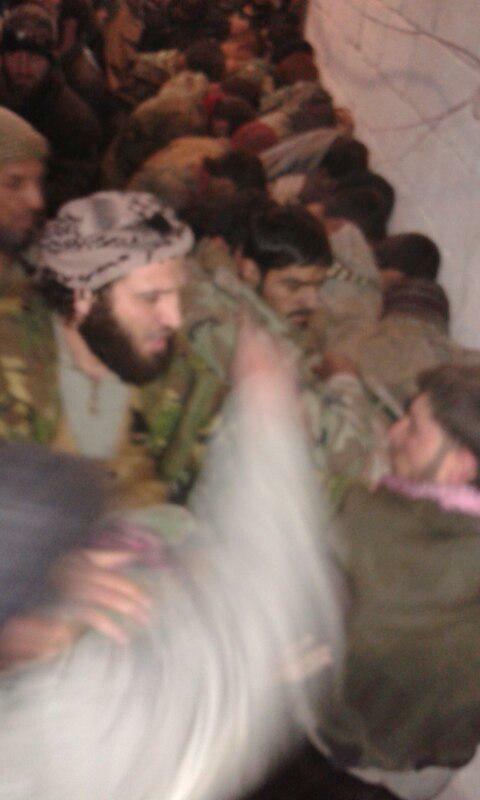 Come on give me a break , ease up on the redundant “fallen suckers abound “(FSA) in BS , Nusrah is fast becoming a proxy of Mossad and they fight like jews also. Great piece of info. as always with this site. The new design is great. But can you add a link below every headline for number of comments on the article. As it is enlightening to read the article it as interesting, informing and knowledge enhancing to read the comments made by some of the readers. Other then that Good improvement. rtloder, Thanks for being a whiny baby and contributing absolutely no substance to anything.